Human civilization can be traced in Switzerland back to about 150,000 years ago, while the oldest farming settlements can be found as far back as 5300 BC. The earliest known cultural tribes in the area are that of the Hallstatt and La Tene cultures that flourished in the late Iron Age around 450 BC. Today, the people of Switzerland have their own unique culture inherent to their cantons. Their official languages are German, French, Italian, and Romansh. As of 2009, its population is 7.7 million with an average population density of about 475 people per square mile. Switzerland (Swiss Confederation) is a federal republic and is known for its neutrality. It has not participated in any war since 1815. Because of this, a lot of neutral organizations can be found here such as the Red Cross, the World Trade Organization and one of the two European offices of the United Nations. It also houses the largest laboratory, CERN, which can be found in Geneva. It is a federation of 26 states that are referred to as cantons, with Bern as its seat of federal authorities. 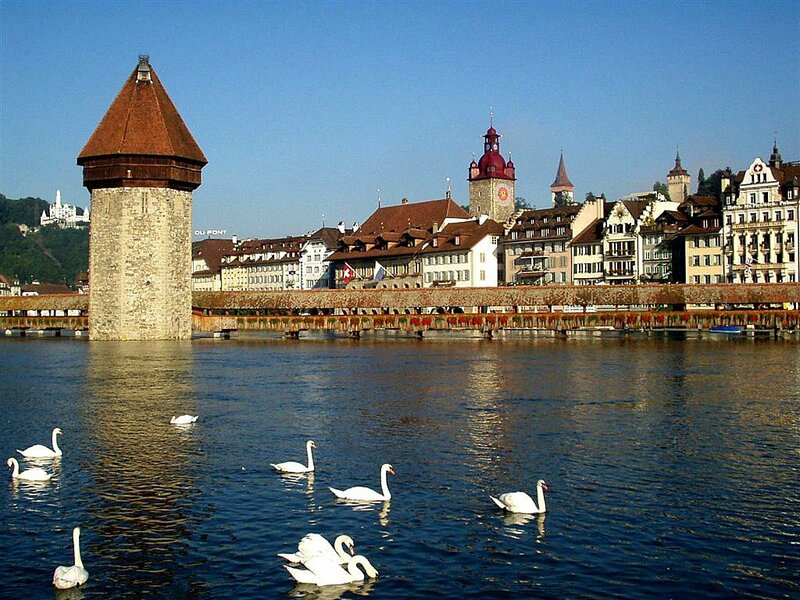 Its economic seat of power is shared by its three global cities, Geneva, Basel, and Zurich. It is one of the richest countries in the world when based on its per capita gross domestic product with a GDP of $67,384. Additionally, Zurich and Geneva rank second and third for highest quality of life in the world, respectively. 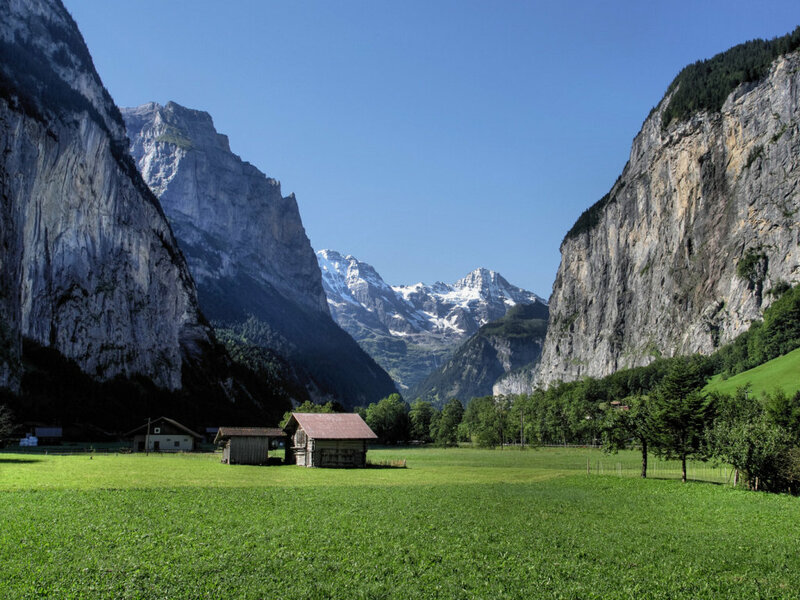 Switzerland is a country full of diverse landscapes despite its meager size of just under 16,000 square miles. It spans both the northern and southern sides of the Alps. It has three basic topographies, mainly the Swiss Alps on the south, the Swiss Plateau or the middle land and the Jura mountains on the north. The Alps is a high mountain range that makes up roughly 60% of the whole country. It is bordered by Germany on its north, Italy on its south, France on its west and Austria on the east. As was stated, Switzerland has been known for its neutrality for years. It has not been invaded by any country during the past two World Wars. In 1920, the country joined the League of Nations under the condition that they would be exempt from any military requirements. 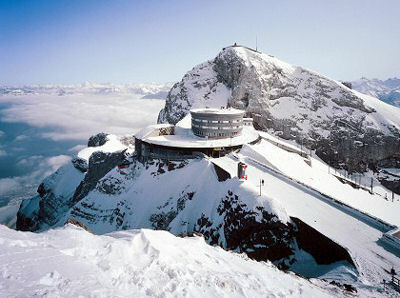 During World War II, serious plans were made by the Germans, but they never attacked Switzerland. The country was able to remain independent through a combination of military deterrence, German concessions, and sheer luck as larger events in the war delayed their invasion. In 2002, the country became a full member of the United Nations, and it is a founding member of the European Free Trade Association although not a member of the European Economic Area. On June 5 2005, Swiss voters agreed to join the Schengen treaty, which was regarded as a sign of support from a country known for its neutrality and independence. If you are going on a tour of Switzerland, then the first place to visit would have to be The Chillon Castle located on the shore of Lake Geneva. It is one of the most famous castles in the country with 100 buildings that date back to the 11th century. It was the former residence of the Savoy nobility. Another good place to visit would be the Zermatt, one of Switzerland's best ski resorts located at the foot of the Matterhorn, the most famous of all the peaks in the Swiss Alps. There are also a lot of museums to visit in Switzerland, one of which is the International Red Cross and Red Crescent Museum. Another notable place to look into would have to be the Cathedral de St. Pierre. The Swiss National Park allows you a different venue for appreciating the beauty of the Alps as you hike there. It covers nearly half of the entire country and is a great sanctuary for wildlife. If you are looking for nightlife in Switzerland, you can find top of the line classical music and opera from world famous orchestras as well as major international performers. The Fetes de Geneve is where the premier annual arts festival is held with all kinds of music and theater performances. If you are more the party type, then you will be pleased to know that the country also has bars where you can chill and hang out. One of these is The Broken Disco located below the Hotel Post in Zermatt. Here you can have a great time with tourists and locals with a good mix of party sounds ranging from dance to old school. With other big countries surrounding Switzerland, their influences on Swiss culture is highly evident. Folk art is very much alive in the country with its music, dance, poetry and embroidery. The Alphorn is a famous wooden wind instrument known as the epitome of traditional Swiss music. Many books were also made by prominent Swiss writers such as Jean-Jacques Rousseau, Conrad Meyer, and Jeremias Gotthelf to name a few. The Swiss are also known for their great food. The cantons, having their own inherent culture, will offer a different taste of Switzerland although, like most European countries, they share the common use of dairy and cheese products. Swiss cheese such as the Emmental cheese is a quite famous Swiss product known world wide. Chocolates are also one of the best products produced here as milk chocolate was actually invented in the Swiss region by Daniel Peter. Swiss wine is also produced, mainly in the Valais and Geneva region. Dishes that can be found throughout the country are fondue, raclette, and rosti. Fondue is melted cheese that is eaten by dipping pieces of bread or potato into it. Raclette, on the other hand, is hot cheese dribbled over potatoes and served with pickled onions. Rosti is similar to American hash browns where potatoes are grated and then fried. So, pack your things and make your reservation. You are surely going to love the country. Together with your family and friends, it is the greatest experience you will have ever had in your life.